Market reports have suggested that revenue generated from mobile apps are going to cross over 200 billion US dollar by 2020. 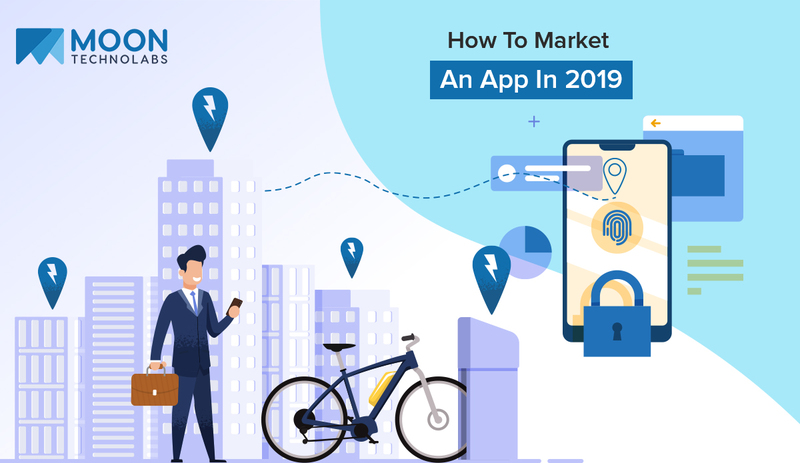 We have categorically stated in this blog about how to and what are the diverse ways to market an app in 2019. To make it easy, we have listed it in the pre-launch, launch and post-launch. The elements of pre-launch cover the period from the start until you decide to launch it. Launch phase will cover the time frame from the launch till the first few weeks and lastly, post-launch which mostly last till the life cycle of the mobile app. For the same, you can also rely on the services from a top mobile app development company. Projection is very important. A part of the strategy is also to make a deadline for distinct aspects of the project. Hence, you need to set a release date for your app to make sure that you work accordingly on each of the parameters. You’ll need to give proper time in researching the market regarding your app and also few if possible to gauge the target audience for the same. It would give you a complete picture of how your competitors are doing in the mobile app market. Through competitive analysis and the latest development via blogs, newsletter, etc. you can make sure to be updated about it. To get your app in the top ranking list in the app store, you’ll need to apply the ASO strategy based on keyword density. You can make sure that the app description, headline, screenshots, videos are optimized for the target keywords. Avoid making mistake in selecting this, as usually you would be allowed to select more than one category. If you select the wrong the one, your users will not be able to identify and reach the target segment. To get more download, ensure that you have selected the right category. The world is running on social media and its assorted channels. Make sure that you give your app the platform of social media to shower its presence everywhere. Good idea to lure users initially with offers and giveaways. By not attending to customer queries, can hugely impact your app brand. It is best to provide customers with an effective service to receive positive feedback from all direction. You need to intake all the parameters to avoid all kind of bad or negative publicity. Customer engagements are very necessary after the user has downloaded the app to ensure further downloads. Acting upon their feedback and review will not only encourage them to use your app more but also will cater a good and positive image about your app. When you think that your app has registered a considerable amount of downloads and registered users, you can perform A/B testing for the app. Once you have analyzed the test results, it will help you in providing the best possible experience. After doing the necessary diligence upon the review and feedbacks, try to inculcate with the suggested changes to keep your app updated with the features in demand with respect to your target audience. When applying changes and doing maintenance of your app will make your users feel that you have taken time to invest in the app and care about their valued suggestion. Top mobile app development company such as Moon Technolabs, is constantly involved in understanding the unexplored aspects of this technology to provide cutting-edge solutions to clients who are in a need of their own business mobile app.